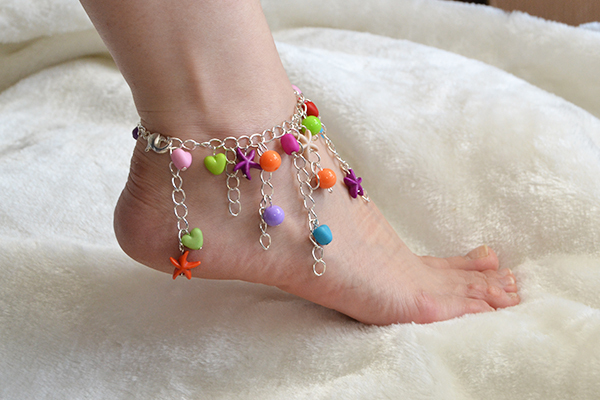 Summary: Wanna make tassel anklet for the summer? 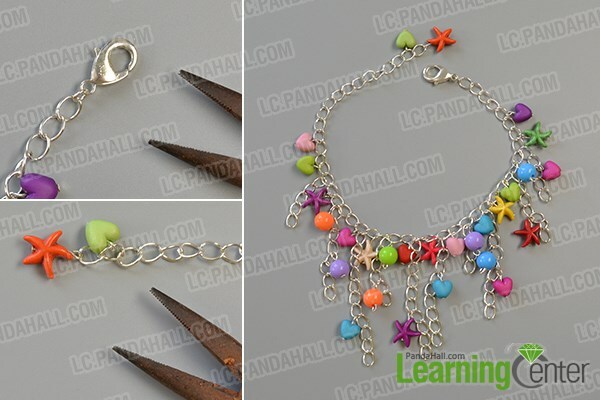 If yes, you can’t miss today’s Pandahall original project on how to make easy tassel chain anklet with colorful beads. 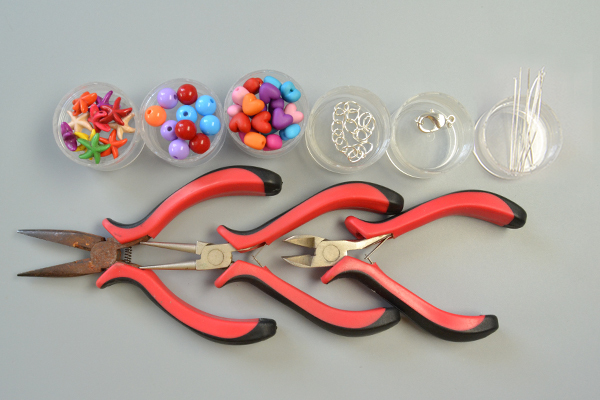 3rd, hang several strips of silver ccross chain with different length on a longer silver cross chain. 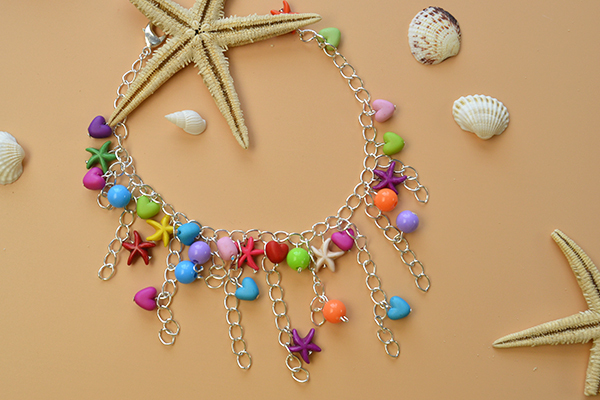 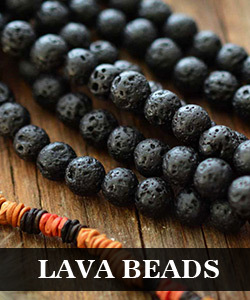 Hang the ready colorful beads on the silver chain like the showing picture. 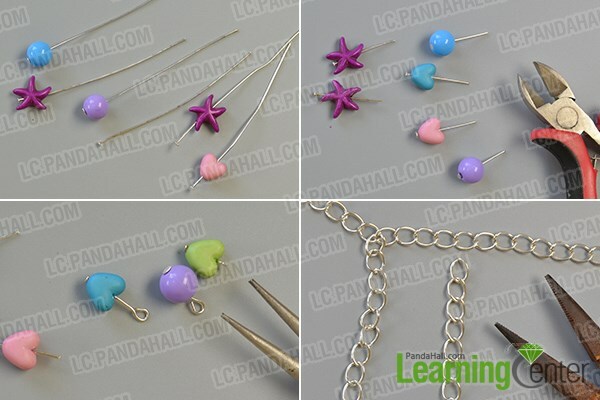 2nd, add a heart acrylic bead and a starfish turquoise bead on the other end of the longer cross chain.